The storm appeared suddenly, tossing Robin's ship against sharp cliffs. 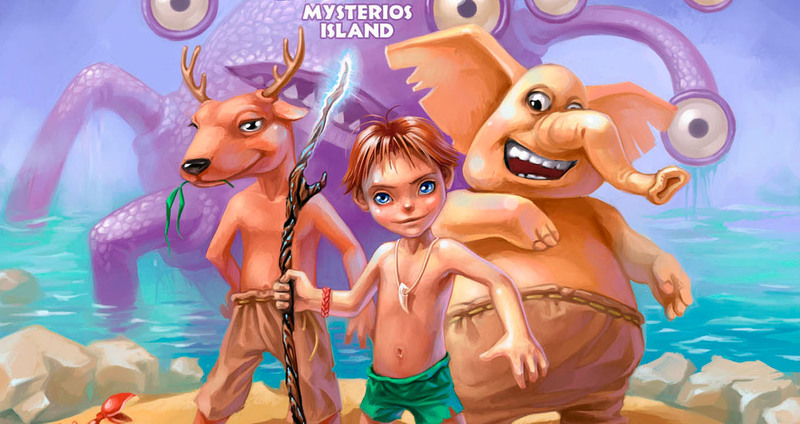 Shipwrecked and lucky to be alive, he finds himself on the beach of a mysterious island inhabited by strange friends...and enemies. Now, to find a way home, he must explore, make allies and master the mysteries of his new surroundings. 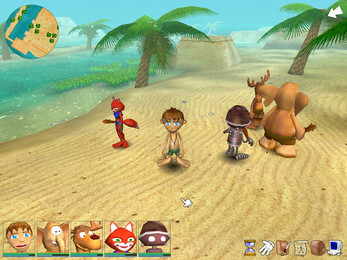 Mysterious Island offers a unique mix of adventure, role-playing and real-time strategy, with control of up to 5 characters. Danger lurks around every corner, as well as adventure. Are you ready to discover if the last of the dragons really lives somewhere in the islands? Our friends' yacht crashed by the coast of The Mysterious Island. Fortunately, everyone survives reaching dry land. 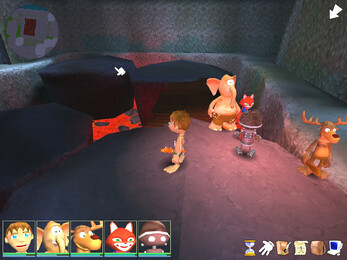 The first task for the player is to find the rest of his friends. At the shore we can find wrack of ship. 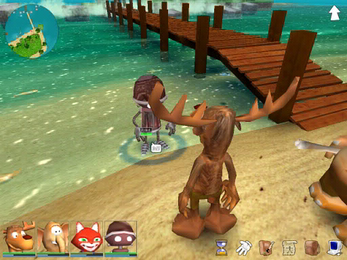 It is sensible to check all chests washed ashore by the storm to find some food and tools which are necessary in the next part of the game. We can find that The Island is inhabited, but part of residents is not friendly to visitors, so the player has to search for weapon for self-defense. During our adventures at The Mysterious Island we are accompanied by the ghost of the Island. To contact with the ghost we use totems, so he can give us some wise advice what to do or where to go. First part of the game is dominated by crabs, bloodthirsty plants and crocodiles. Player should be aware of these dangerous plants because it can lure beneath the ground and can attack rapidly. Also crocodiles may be dangerous, especially when there are many of them. Find your friends and talk to them. They will surly share with you with their observations, you will know how they feel, if they need some food or sleep. Distribute tools and weapon among your friends – they can act on their own if they have all important stuff (especially in camping mode). After finding your friends you have to start settlement. The best place for a camp is a land where soil is suitable for cultivation with lots of trees and bushes. Camp will allow you to supply reserves of food all important items, it will also allow you to rest before inland journeys. When you have settled a camp your friends can organize other works (if they have all necessary objects), and if needed they can feed or defend on their own. On the trips deep into the land you can take as many friends as you want – the rest will stay at the camp working and resting. You will find out soon, that there is a local village nearby. Natives are open and friendly to visitors. 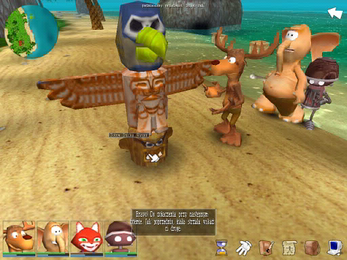 If you talk to their chief – Shaman you can get some valuable information about the island, creatures and different threats. 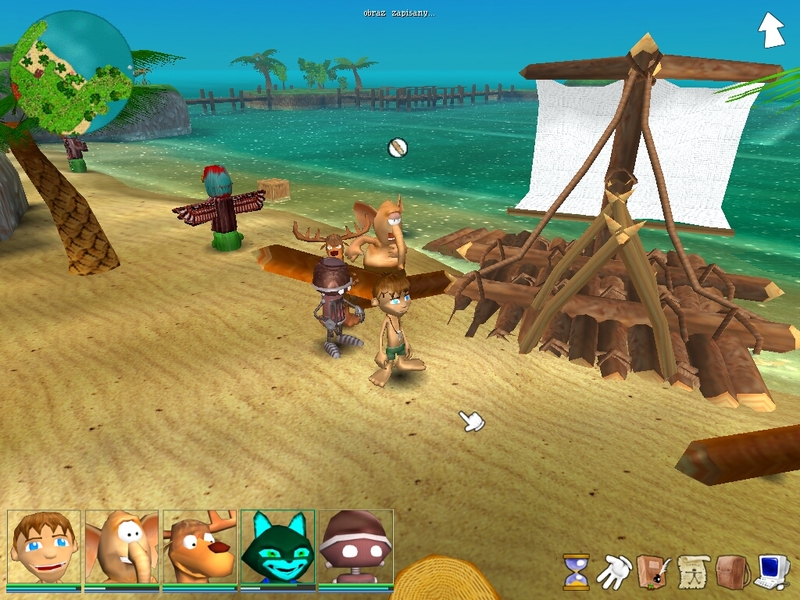 Inhabitants can show you some places where you can find materials for building a raft. Player can trade with them as well. This is a good moment to start raft's construction. For building you need some wood and a hatchet. Player can hand this job over to his friends. They will do this job as long as they have enough materials for building. After gathering enough wooden logs you need ropes. The easiest way to find it is to look around a Stone Labyrinth and Ancient City. But be careful – there live a lot of dangerous creatures. Also you can buy rope from natives in exchange of fruits. If you want to decide for this exchange it is reasonable to have well developed plantation, because you have to take care of your own team as well. Shaman about the wrack of ship at the coast. Player should be aware of see monster – it can be rally dangerous. Only if your team is well prepared can you set out on a journey for compass. Your raft is almost ready, but the last thing you need is to find some canvas for sail. Once again it is good to ask Shaman for some wise advice. He reveals you a secret that in the other part of the island lives The Last Dragon and only in its cave you can find some strong canvas. The Dragon is a great glutton so it would be a good idea to take a present for it – a cake baked by inhabitants in exchange of some shells. If you already have a cake for The Dragon you can set out. During a trip it turns out that you have to fix a bridge you came across. You need a few logs and a hammer. This mission appears to be more difficult. 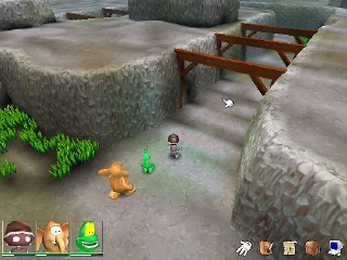 The player has to get through the mountains overcoming ranging monkeys. It can be necessary to send one of your friends back to the camp for some food and arrows. When our hero finds The Last Dragon it is very pleased with the cake and you can easily take some canvas from its cave. In the return journey through the mountains a strange thing happens – one of your friends disappears. After getting back to the village Shaman tells you that it can be caused by a Witch. The Castle of Witch is protected by magic charm and mission won't be easy. Fortunately Shaman promises to help you and to break the spell guarding the entrance to the castle.To do this he needs a magic amulet- The Great Pearl. It is guarded by The Minotaur, which lives in a cave at the end of The Stone Labyrinth. Defeating the witch results in liberality of our friends. We finish the raft and end the game. In the final version of the game on alternative way of finishing the game is also possible. 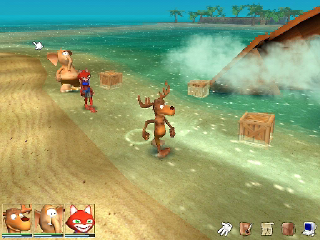 The villagers will have another raft exchangeable for coins gathered after killing monsters. The Evil Witch gains strength and so the monsters inhabiting the island become more deadly. The coast. There we begin our adventure gather teammates and basic tools. It is also to start building a raft here. Local village. There we can learn about the island. The villagers can sell us supplies and tools. The Shaman can give you a few valuable advices, he can help you when the witch kidnaps a member of your team as well. Shallow waters- The sea monster. The sea monster sits on a chest containing the compass – a tool indispensable for sailing the sea. Without it the team will not be able to find their way home. Ruins of the AncientCity. Quite a dangerous place. The only way to the labyrinth leads through the city. Around it there are herbs necessary to make a cure for bites. Also, here yup can find edible plants with seeds that can be pleased elsewhere on the island. There is a place where a bridge on the road is broken. To get through the team must chop down a dead tree growing near path to make a new bridge over canyon. The Cave. There we meet The Minotaur, who guards The Amulet. Deep inside there are some materials. If we have a pickaxe, we can mine some coal, iron ore and gold. Out of them our companion, the robot can make the missing tools. The minerals are also interesting for the locals, and can be exchanged for other goods. The Wasteland. It is on the way of The Last Dragon and The evil Witch. It is very dangerous here. Before we enter into the wasteland our team members must be well trained in fight and properly equipped in weapons. The wasteland also has a broken bridge which the team has to fix in order to proceed with the ghost. A hammer and some wooden logs will come in handy. Here we will also find some useful herbs. Most of the enemies will be lizards and skeletons. The Mountains. It is the road to the Last Dragon's Cave. The temperature here is very low so, it's easy to catch a cold, which must be cured with herbs and rest. Fortunately some of them grow here. 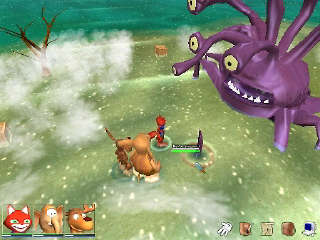 The main opponents will be witch-pressed monkeys. Last Dragon's Lair. 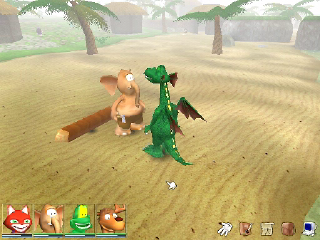 The dragon is a loner unused to company so he talks to strangers unwillingly. He is a glutton through, so if we offer him some sweets he will let us pick a gift from among the objects gathered inside his lair. We can also find strong canvas in there – it is the best material for raft's sail. The Dragon will offer you help in building raft and will be pleased entering your team. You can easily use a mouse to control. Pointing out an object causes the action of the character – it talks, picks out an object, fights or does some other activities. Acting depends on the object we choose.Commands to other members of the team we give in a dialog form. To direct the team you have to pass other members appropriate objects and switch to camping mode. That's enough for members to act – they know what they need. 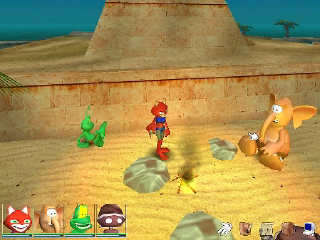 In the team mode characters act, fight and rest depending on the chief behavior. Through the dialog you can order your team member any job (in case it has necessary materials or tools.) 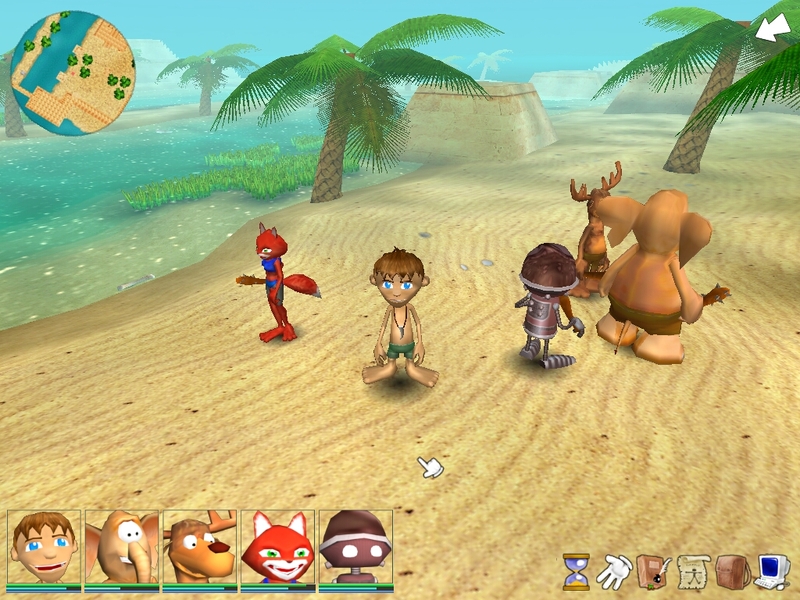 In the camp mode each of your friends can supply with food, tools, weapons, rests and defeats in need. In any time player can change into each member of the team a direct it's acting on his own. Every character has specified abilities and predispositions, which can be developed in different fields. Besides, staying in the team, you are much safer, because it is easier to defeat violent attacks of dangerous creatures. When the night falls it is also more dangerous – there are more threats and your companies are sleepy and less active. 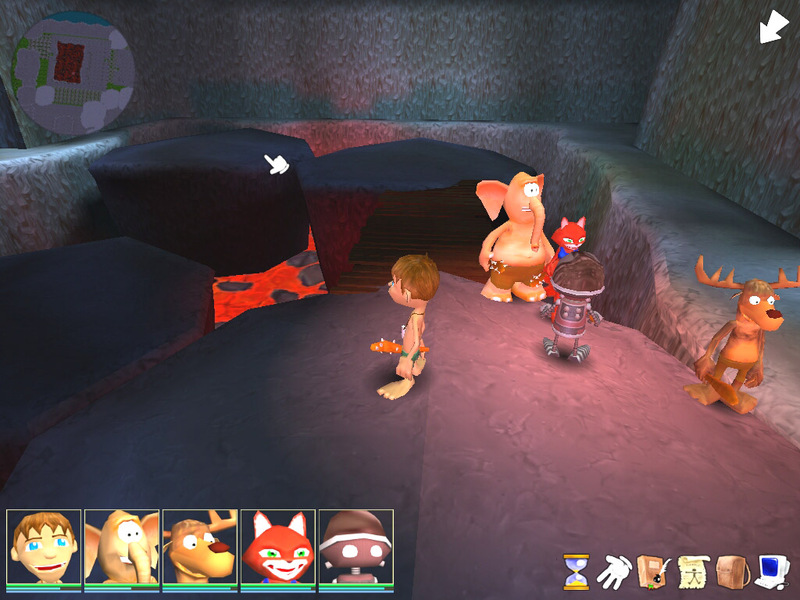 Left-handed bottom part of the screen contains icons of team members. If you drag and click at the team member icon you can easily direct chosen character. Icon of an hourglass – shortcut to menu for time operating. Icon of a palm – shortcut to menu, where you can direct your team by giving orders to other members of the team. A bag – shortcut to team members' pockets. It contains actual carried objects. Run the self extracting archive and the program will guide you through the installation process. - PC computer with mouse and Windows (Windows Vista, Windows 7, Windows 8) operating system. Execute the Mysterious Island EXE installer, which will lead you through the installation process. English installer in ... Polish ?